Our teaching from Torah, The Law of Moses will be from Numbers 18.19-32. AND THE TITLE OF OUR TEACHING IS, A GLOSSARY OF WORDS AND TERMS WRITTEN IN THE LAW OF MOSES, AND THEIR MEANINGS, PART 2. And with that said, let’s read Numbers 18.19-32. NUMBERS 18.19 All the heave offerings, the animals that were offered up to The LORD by sacrifice were given to the Priests and their families to be eaten for food. That is a Statute, a Law forever. It is a Covenant of Salt forever before The LORD. A Covenant of Salt means that all GOD’S Covenants are eternal. They never end. They never change. That is, GOD’S Covenant can never be abolished, nor can it ever be changed. This Covenant of Salt is between GOD and the Priests that is eternal. It is a Covenant forever. So why does the Church believe they abolished the Law of Moses? That is preposterous. The Law of Moses is a Covenant of Salt. It stands forever, and it never changes. That Covenant of Salt, GOD’S Word and His Law of Moses is for all mankind, Jewish People and non Jewish People. Even for those who have atonement in Messiah Yeshua. REPENTANCE is a Covenant of Salt because Repentance is taught in the Bible by the Lord. It is the Word of GOD. A very, very important subject to be studied starting with EZEKIEL 18.21. Meaning that The LORD GOD will provide everything necessary for everyone in the Tribe of Levi. “I am your inheritance,” the LORD said. The Land of Israel, and all that the Land produces is an inheritance from The LORD for the Jewish People. Genesis 17.8. But the Tribe of Levi, at GOD’S command, did not inherit any Land in the Country as the other Tribes inherited parcels of Land throughout Israel. However GOD had the Levites live among all the Tribes throughout Israel. The inheritance that the Levites received from the LORD was a tithe or a tenth of all that the Children of Israel produced in crops and animals. It was their reward for their service of the Tabernacle and the future Temples. GOD is their inheritance. GOD provided for the entire tribe of Levi a tenth of everything The LORD GOD provided for the Children of Israel throughout Israel. NUMBERS 18.21 Thus, as written, the inheritance to the Priests and all the Tribe of Levi is all the tenth, or all the tithes in Israel for their service of the Tabernacle, and later the Temples. And the Priests received a tenth of all the tithes that the Levites received. The inheritance the Levites receive from The LORD, I believe, is when the Temple is standing in Jerusalem, and there is a Priesthood. There is no Temple or Priesthood today. Thus the Jewish People are not commanded by The LORD to tithe to the Levites. However from what I read in a Dictionary of the Jewish People written by Jewish contributors, from the time the Second Temple was built and dedicated in 516 B.C.E., B.C, all religious functions and privileges including tithes, GOD’S inheritance to the Levites, were removed from the Levites. That inheritance was certainly not taken away by the LORD THEIR GOD since GOD’S inheritance to the Levites is a Covenant of Salt. Removing GOD’S inheritance from the Levites was wrong and a huge mistake. Returning to the inheritance the Levites received from The LORD THEIR GOD that included inheritance for the Priests, also Levites from the Tribe of Levi. A tenth part of an ephah of flour is 2.1 ounces of flour. A fourth part of a hin of beaten oil is 2 quarts of oil. Thus GOD gave the Priests for their inheritance, all the animals that were sacrificed including those sacrificed for the atonement of the Jewish People. And they were food to be eaten by the Priests. However, without the Temple there cannot be an animal sacrifice. And without the Temple, there cannot be an animal sacrifice for the atonement of The Jewish People. THEREFORE THE GOD OF CREATION ORDAINED THE JEWISH MESSIAH YESHUA TO BE OUR SACRIFICE FOR ATONEMENT, THE FORGIVENESS OF SINS FOR HIS JEWISH PEOPLE AND FOR ALL PEOPLE. Messiah also showed Himself to His Disciples to be the Sacrificed Lamb that was killed and offered up to The LORD for the Atonement of the Jewish People. And eaten by the Priests. The Bible says that Messiah took a board of matzah and blessed it, and broke it, and gave it to His Disciples, and said, “Eat, this is My Body.” His Body that would be killed the following day on the first Day of Passover, and sacrificed for His Jewish People and all Peoples to atone for the sins of many as the animal sacrifice that atoned for the Jewish People in the days of the sacrifice. And eaten by the Priests. The New Covenant is The Messiah Yeshua, The Father, Ha Shem, GOD Almighty Who gave His Life as a human being to forgive our sins. To be our atonement. The twelve Jewish Disciples who sat with The Messiah at His Seder were like GOD’S Priests who ate the matzah that was symbolically His soon to be sacrificed Body. You know something about GOD’S Priests? They obeyed The LORD. They obeyed every Word of GOD, and they obeyed every Word that was written in The Law of Moses. And that is what GOD, Yeshua The Messiah requires from all who believe in Him. Obedience to His Word and His Law of Moses. The Priests are a Special People to The LORD. So are we who follow Messiah and obey His Torah, His Law of Moses as The Bible teaches throughout. Serving The Living GOD is being obedient to The Living GOD. The Priests ate the sacrifices in The Most Holy Place, The Tabernacle Sanctuary in the Presence of The LORD. NUMBERS 18.11-14 The animals that were sacrificed, and the best of the oil, the best of the wine and wheat, and the first ripe fruits of all the crops that were offered to The LORD, and everything that was dedicated to The LORD in Israel was food that GOD gave to the Priests, their wives, their sons, and daughters to eat in their homes. That was their inheritance from the LORD. But only the clean. Those who were GODLY, living a GODLY life without sin were allowed by GOD to eat the Most Holy Things that were dedicated to The LORD. THIS WAS THEIR INHERITANCE FROM THE LORD THEIR GOD. AND THE LORD THEIR GOD IS YESHUA THE MESSIAH. The firstborn of cows, the firstborn of sheep, and the firstborn of goats that were offered to The LORD on the altar, GOD gave to the Priests to be eaten for their food. NUMBERS 18.23 The Levites did the service of the Tabernacle, though not in the Tabernacle. And they were responsible for their sins. And that is a Statute forever. NUMBERS 18.24 But the tithes of all the Children of Israel, the best of everything that the People offered to The LORD, GOD commanded to be given to the Levites. That was their inheritance from The LORD THEIR GOD. NUMBERS 18.25-28 And the Levites were commanded by GOD to tithe ten percent of all their tithes to the Priests. Verse 28. That also was the Priests’ inheritance from The LORD. NUMBERS 18.29-31 The Levites who inherited their inheritance from The LORD were rewarded for their service of the Tabernacle and the future Temple. And The LORD allowed them to eat their food wherever they desired, except in the Tabernacle. NUMBERS 18.31 In all that GOD commanded the Priests and the Levites, they did not bring sin upon themselves in carrying out His Commands. Wow. That’s a strong statement from The LORD. You are not to pollute, that is defile the Holy Things of the Children of Israel, lest you die. Most of the non-Jewish world pollute the Holy Things of the Children of Israel. Starting with The Law of Moses. And that is being an anti-Christ. Anti GOD. Preachers, Bible Teachers, Pastors, and certain Messianic Rabbis receive tithes to teach that The Law of Moses is void, dead, abolished, and no longer in effect. On the other hand, the Levites teach the People the Truth, The Law of Moses to make it part of their lives, and live. Here’s a Word from GOD Who is Messiah Yeshua. A GLOSSARY OF WORDS AND TERMS WRITTEN IN THE LAW OF MOSES, AND THEIR MEANINGS. Our teaching this morning from The Law of Moses will come from Numbers 18.8-18. AND THE TITLE OF OUR TEACHING IS, A GLOSSARY OF WORDS AND TERMS WRITTEN IN THE LAW OF MOSES, AND THEIR MEANINGS. NUMBERS 18.8 What are the HALLOWED things of the Children of Israel? The Hebrew for HALLOWED, as in, the “HALLOWED” things of the Children of Israel, is KODESH. Meaning, someone or something set apart for GOD, or someone or something set apart to be Holy. Or GOD being set apart, being MOST HOLY. Here are some examples in Scripture for the use of the word HALLOW. EXODUS 20.11 GOD has HALLOWED Saturday, the seventh day of the week. He set apart the seventh day Saturday from the other days of the week to be the Sabbath. And GOD set apart the Sabbath day and made it HOLY for all mankind to observe. EXODUS 29.1 GOD has HALLOWED the Priests. That is, GOD set apart the Priests to be HOLY unto Him, The LORD THEIR GOD. EXODUS 40.9 The Tabernacle, and all that was in the Tabernacle were HALLOW. Set apart for GOD, and HOLY. Everything in the Tabernacle and the Tabernacle itself was Pure and Clean. And the Priests were commanded by GOD to keep the Tabernacle and everything in it HOLY. That is, Pure and Clean, set apart for GOD. After all, the Tabernacle was the dwelling place of GOD. AS WE ARE THE ELECT, THE FAMILY OF GOD, HOW ARE WE TO BE HOLY TO THE LORD OUR GOD? A GOOD PLACE TO START IS LEVITICUS 19.2. YOU SHALL BE HOLY FOR I THE LORD YOUR GOD AM HOLY. BEING HOLY IS BEING LIKE THE LORD YOUR GOD WHO IS HOLY. AND GOD’S HOLINESS IS EXPLAINED IN DEUTERONOMY 32.1-4. DEUTERONOMY 32.1 GIVE EAR O YOU HEAVENS, AND I WILL SPEAK. AND HEAR O EARTH, THE WORDS OF MY MOUTH. GOD AND HIS ANGELS LIVE IN THE HEAVENS. THE EARTH IS THE HOME OF ALL HUMANITY. YES, GOD HIMSELF IS OBEDIENT TO EVERY WORD THAT HE SPEAKS. THE HEBREW WORD FOR SPEAK, AS IN I, GOD, WILL SPEAK, IS DAHVAHR. MEANING WORD, LAW, TEACHING, PROMISE COMMANDMENT, COMMAND, AND WORK. THUS EVERY WORD GOD SPEAKS IN THE BIBLE IS HIS LAW, HIS TEACHING HIS PROMISE, HIS COMMANDMENT, AND HIS COMMAND. AND EVERY WORD GOD SPEAKS IS WORK. AND THAT WORK OF OBEDIENCE TO THE LORD YOUR GOD IS HOLY. AND YOU WILL FIND IT TO BE THE BEAUTY OF HOLINESS. THE WORD HEAR IN HEBREW, AS IN “HEAR” O EARTH, AS YOU ALL KNOW, IS SHEMA. MEANING HEAR, LISTEN, AND OBEY. GOD SAYS TO ALL MANKIND, JEWISH AND NON-JEWISH PEOPLE, HEAR, LISTEN AND OBEY THE WORDS OF MY MOUTH, AND DO THEM. LUKE 4.4, DEUTERONOMY 8.3. OBEYING EVERY WORD GOD SPEAKS IS BEING HOLY. DEUTERONOMY 32.2 AS THE RAIN, AND THE DEW, AND THE SHOWERS CAUSE THE HERBS AND THE GRASS TO GROW, GOD’S DOCTRINE, AND ALL THAT HE SPEAKS IN THE BIBLE, CAUSE US TO GROW IN HIM. AND THAT IS HOLINESS. DEUTERONOMY 32.3-4 GOD’S WORK IS PERFECT. AND WE SHOULD SET OUR SIGHTS ON BEING PERFECT IN THE SIGHT OF OUR GOD. BACK TO DEUTERONOMY 32.4 ALL GOD’S WAYS ARE JUDGMENT. THAT IS TO SAY, ALL GOD’S WAYS ARE ACCORDING TO HIS LAWS THAT ARE WRITTEN IN THE LAW OF MOSES. AND GOD IS A GOD OF TRUTH. WE ALSO MUST BE MEN AND WOMEN OF TRUTH. AND THAT IS BEING HOLY. AND GOD IS WITHOUT INIQUITY. WE ALSO SHOULD BE WITHOUT INIQUITY. INIQUITY IS SIN. SIN IS BREAKING THE LAW OF MOSES. 1 JOHN 3.4. AND THAT IS BEING HOLY. AND AS GOD IS JUST AND RIGHT, WE TOO MUST BE JUST AND RIGHT. JUST IS BEING RIGHTEOUS, LIVING OUR LIFE ACCORDING TO GOD’S LAWS THAT ARE WRITTEN IN THE LAW OF MOSES. AND HAVING YOUR SINS ATONED FOR THROUGH FAITH IN THE MESSIAH YESHUA. FOLLOW, AS MESSIAH SAID TO PHILIP, FOLLOW ME, IS THE GREEK AKOLOUTHEO MEANING, BEING IN UNION WITH, OR UNITED WITH MESSIAH. BEING IN THE SAME WAY AS MESSIAH. BEING LIKE MESSIAH WHO DID NO SIN BECAUSE HE LIVED IN OBEDIENCE TO HIS LAW OF MOSES. SO HOW DOES THE BELIEVER IN THE MESSIAH YESHUA BECOME HOLY? BY HEARING, AND LISTENING, AND OBEYING EVERY WORD GOD SPEAKS IN THE BIBLE. GROWING IN GOD’S DOCTRINE AND SPEECH WRITTEN IN THE BIBLE. BEING PERFECT IN THE SIGHT OF YOUR GOD BY LIVING ACCORDING TO GOD’S LAW OF MOSES, AND EVERY WORD THAT PROCEEDS OUT OF THE MOUTH OF THE LORD YOUR GOD. BEING A MAN OR WOMAN OF TRUTH WITHOUT INIQUITY BY SPEAKING THE TRUTH AND LIVING ACCORDING TO THE LAW OF MOSES. BEING JUST AND RIGHT BY LIVING YOUR LIFE ACCORDING TO EVERY WORD GOD SPEAKS, AND EVERY LAW GOD TEACHES. THAT IS WHAT THE LORD YOUR GOD REQUIRES OF YOU TO BE HOLY. BLESSED ARE THE UNDEFILED IN THE WAY WHO WALK IN THE LAW OF THE LORD. THE LAW OF YOUR MOUTH IS BETTER UNTO ME THAN THOUSANDS OF GOLD AND SILVER. UNLESS THE LAW HAD BEEN MY DELIGHTS, I SHOULD THEN HAVE PERISHED IN MY AFFLICTIONS. IT IS TIME FOR YOU, LORD, TO WORK. FOR THEY HAVE MADE VOID YOUR LAW. SALVATION IS FAR FROM THE WICKED, FOR THEY SEEK NOT YOUR STATUTES. I HATE AND ABHOR LYING, BUT YOUR LAW DO I LOVE. GREAT PEACE HAVE THEY WHICH LOVE YOUR LAW, AND NOTHING SHALL OFFEND THEM. I HAVE LONGED FOR YOUR SALVATION O LORD, AND YOUR LAW IS MY DELIGHT. GOD is HALLOWED among the Children of Israel, the Jewish People. Because GOD Is The Supreme Being, The Creator of Heaven and earth and all that is in them. GOD is the Judge and Ruler of history and throughout history. He is the Supreme Lawgiver. The object of our love, our reverence, our respect, our admiration, our esteem, and dread and fear. And GOD should be the focus of our obedience, our praise, and our worship. HE IS GOD ALMIGHTY, THE MESSIAH YESHUA. AND HE IS HALLOWED, SET APART FROM ALL OTHERS. HE IS THE MOST HOLY GOD. And as Leviticus 22.32 teaches, GOD has HALLOWED the Children of Israel, the Jewish People. He has set the Jewish People apart to be HOLY to Himself. To be Chosen of GOD to be a Special People to Himself above all the people that are upon the face of the earth. To be His witnesses to the world. NUMBERS 18.8 WHAT IS THE ANOINTING? ANOINTING in Hebrew is MASH’KHA. Meaning to set apart and dedicate to the service of GOD. Aaron and his sons were ANOINTED by GOD. Set apart and dedicated to the service of GOD, being the Priests of GOD. MESSIAH YESHUA, GOD ALMGHTY, Who at the time of His death was fully human, is our offering for sin. MESSIAH YESHUA, a mystery to many Jewish People, is The Promised Messiah the Jewish People hope for. At Messiah’s return, which I don’t think is too far away, Messiah will deliver Israel from foreign oppression and persecution. The MESSIAH YESHUA will restore the former glories of Israel. And The MESSIAH YESHUA will establish GOD’S Kingdom of Righteousness, and Peace, and Prosperity on earth in Israel in GOD’S given borders from the Nile to the Euphrates River. Whose second coming will bring about the Resurrection of the whole House of Israel, and the Resurrection of the Just, those found written in GOD’S Book of Life. NUMBERS 18.8 WHAT IS AN ORDINANCE FOREVER? An Ordinance forever is Every Word that GOD has spoken in The Scriptures is forever. Every Spoken Word of GOD is Law, and His Ordinance is Law. And GOD’S Spoken Word is in effect forever. And never changes. NUMBERS 18.10 THE MOST HOLY PLACE IS THE TABERNACLE SANCTUARY. THE MOST HOLY PLACE IN HEBREW IS B’KODESH HA KAH’DAH’SHIM. NUMBERS 18.11 EVERYONE THAT IS CLEAN IN YOUR HOUSE SHALL EAT THE MEAT OF THE SACRIFICE. NUMBERS 18.15-18 REDEEM in Hebrew is PAH’DAH. Meaning to deliver by paying a price, or to let go, or release by paying a price. The redemption of the firstborn is in honor of GOD’S mighty power that He brought upon Pharaoh when Pharaoh would not let GOD’S People, The Children of Israel go from Egypt to serve The LORD THEIR GOD in the wilderness. The LORD responded by killing all the firstborn Egyptians of man and beast. The redemption of the firstborn as written in Numbers 18.15-18 when the Tabernacle and Temples were standing is this. Every living thing that opened the womb, that is the firstborn of a woman, or the firstborn of an animal that was brought to The LORD, belonged to the Priests. However, the Priests were to REDEEM the firstborn male child. The Priests released the child to his parents for a price. And the father paid the price according to the Tabernacle or Temple Shekel. And the money was kept by the Priests. And the firstborn of an unclean animal such as a donkey was REDEEMED or released to its owner for a lamb. The lamb was either used for a sacrifice to The LORD, or eaten by the Priests for food. The firstborn child from a month old, or older was released to the parents for a price of five Shekels, or about two ounces of silver. The money remained with the Priests. But the firstborn of a cow, or the firstborn of a sheep, or the firstborn of a goat were NOT REDEEMED, or released to the owner because those firstborn clean animals were HOLY to The LORD, and set apart for The LORD to be sacrificed on the altar for the atonement of the People, or for some other sacrificial purpose. And the meat of those animals was food for the Priests. Today, without the Temple, and without a sacrifice, Judaism observes the redemption of the firstborn with a ceremony called PIDYON HA-BEN, The redemption of the firstborn son. The firstborn son belongs to GOD, or the Priest who represents GOD at the Ceremony. The parents buy the child back for a price. Usually five dollars. And when the Ceremony is finalized, the father reads Numbers 18.16 and Exodus 13.1-2. And the parent assures the Priest, or the one presiding over the Ceremony that he prefers to give the Priest money rather than his firstborn son. And then the father recites two appropriate blessings, and a feast follows. PSALM 29.2 READS, GIVE UNTO THE LORD THE GLORY DUE TO HIS NAME. WORSHIP THE LORD IN THE BEAUTY OF HOLINESS. Posted on September 18, 2016 September 19, 2016 Categories Shabbat MessageLeave a comment on A GLOSSARY OF WORDS AND TERMS WRITTEN IN THE LAW OF MOSES, AND THEIR MEANINGS. THE HEAVE OFFERING, THE RESURRECTION, AND THE END TIMES. Our teaching from Torah, The Law of Moses is from Numbers 18. 8-11. AND THE TITLE OF OUR MESSAGE IS, THE HEAVE OFFERING, THE RESURRECTION, AND THE END TIMES. And with that said, let’s read Numbers 18. 8-11. NUMBERS 18. 8 Heave offering in Hebrew is T’ROOMAH meaning, a sacrifice offered up. The Hebrew word T’ROOMAH comes from the Hebrew word ROOM meaning, to be Lifted Up, To Be High, Raised Up, Exalted, Extolled and Lofty. Which leads me to believe that the heave offering sacrifice offered up to The LORD GOD was prophetic for the Resurrection of The Messiah Yeshua. (1 CORINTHIANS 15.20 ) Messiah is the first to be resurrected. And I believe that the heave offering sacrifice offered up to The LORD is prophetic of the future Resurrection of the Just. The Just are those Jewish People, and non-Jewish People who were Just and Righteous, having atonement in the animal sacrifice before the destruction of the Second Temple in 70 C.E., A.D., and lived their lives according to all GOD’S Laws that are written in The Law of Moses. I do not believe that every Jewish Person from Abraham will have eternal life in Heaven. 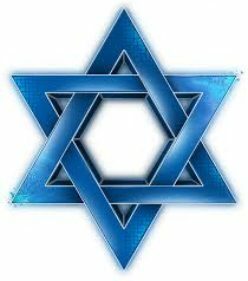 I do believe however that a great number of Jewish People will enter eternity in Heaven according to the Prophets. And they are the whole House of Israel. As Paul writes in Romans 11.26, All Israel shall be saved. The Resurrection of the unjust, as written in Acts 24.15 is their resurrection to the great white throne judgment in space after the one thousand year Millennium. And they will be cast into the lake of fire. They will be judged according to their works. Did they obey GOD? Did they have atonement by the sacrifice in its day, or in Messiah Yeshua after the destruction of the Second Temple? And did they live their lives according to GOD’S Laws, Teachings, and Instructions that are written in The Law of Moses? Obviously not. GOD chose the Jewish People to be His Witnesses to the world. To tell all mankind from the Bible that Jewish People wrote from Genesis through Revelation about GOD and all that pertains to GOD. Now, the Laws for the Priests are listed in this Chapter, Numbers 18, and written in other Books of The Torah, The Law of Moses. However it is my belief that when The LORD spoke of the heave offering, when a portion of the flesh of the sacrifice was raised up to The LORD by the Priests, GOD was showing in prophesy the Resurrection of the Entire Family of GOD, along with the Just and Righteous who are alive. (LUKE 8.21) THE HEBREW WORD FOR “HEAR” AS IN, “THESE WHICH “HEAR” THE WORD OF GOD”, IS SHEMA. THUS YESHUA THE MESSIAH SAID, THOSE WHO OBEY THE WORD OF GOD, AND DO IT, ARE THE FAMILY OF GOD. Okay. When will the Resurrection take place along with the Just and Righteous in Messiah who are alive? Daniel 9.27 prophesies when the tribulation will start and end. Many call the person in this passage the anti-Christ, or the anti-Messiah who will oppose The GOD of Creation. This anti-Christ or anti-GOD will prevail to make a strong agreement like a peace treaty between Israel and the Palestinians for seven years. Israel will build the Temple in Jerusalem, but at the end of three and a half years into the peace treaty, the anti-Christ will set up his idols in the Temple and proclaim to be GOD. AND THAT WILL BRING ON THE WRATH OF EL SHADDAI, GOD ALMIGHTY. IN HIS WRATH, THE LORD WILL DESTROY THE ANTI-CHRIST AND THE TEMPLE. AND THE LORD GOD, THE GOD OF ISRAEL, THE MESSIAH YESHUA WILL RETURN TO SAVE ISRAEL AND HIS JEWISH PEOPLE, AND ESTABLISH HIS KINGDOM ON EARTH IN ISRAEL. AND THE LORD GOD, THE GOD OF ISRAEL, THE MESSIAH YESHUA WILL DESTROY ALL THE ENEMIES OF ISRAEL, AND ALL THE ENEMIES OF THE JEWISH PEOPLE BY THE BRIGHTNESS OF HIS GLORY. The Coming of The LORD, The Return of The Messiah Yeshua will come when there is a falling away from GOD because of sin. That falling away from GOD is great today. Sin and iniquity are breaking The Law of Moses. 1 John 3.4. The anti-Christ is a man of sin who rejects GOD and rejects His Law of Moses. He is the son of perdition, the son of destruction who will sit in the Temple showing himself that he is GOD. But GOD will allow that to continue for a short amount of time. Paul writes that The Mystery Of Iniquity does already work. That is, GOD has closed the eyes of so many, so very many people to what iniquity and sin are. Sin is a mystery even though The Bible explains very clearly what sin is in 1 John 3.4. Sin and iniquity are breaking GOD’S Laws that are written in The Law of Moses. Sin is at work, and it is great throughout the world. And GOD will reveal the wicked one who is a messenger of satan. And GOD will destroy the wicked one and the Temple with the brightness of His Glory at His Coming. And GOD will destroy those who do not receive the love of the Truth, obedience to GOD and His Law of Moses. And having Atonement in Messiah Yeshua so that they would be saved. And GOD sent them a delusion to believe the lie that The Law is abolished. And Paul writes, they who believe the lie that The Law of Moses is abolished will be damned who did not believe the Truth that The Law of Moses stands forever. Returning to GOD’S Kingdom on earth in Israel for one thousand years, Israel’s borders will return to the original borders GOD gave to Abraham. From a river in Egypt to the Euphrates River that will include all Israel today. A portion of Egypt. Much of Syria and Iraq. And all of Lebanon, and much of Jordan. After the one thousand years in The Kingdom on earth in Israel, where the marriage supper of the Lamb will take place, Revelation 19, as we read earlier, GOD will destroy satan for good and forever. The great white throne judgment will be held in space after GOD The Messiah Yeshua sends the burnt earth away. In conclusion, all Israel, and all Jewish People, and all non-Jewish People need to follow GOD rather than men and women. GOD’S Word in The Bible is Truth. Man’s word is not always the Truth. AS YESHUA THE MESSIAH SAID IN LUKE 8.21, “MY FAMILY ARE THOSE WHO HEAR THE WORD OF GOD, AND DO IT”. Posted on September 11, 2016 September 13, 2016 Categories Shabbat MessageLeave a comment on THE HEAVE OFFERING, THE RESURRECTION, AND THE END TIMES. THE RESPONSIBILITIES OF THE PRIESTS OF ISRAEL AND THE LEVITES. Our teaching from Torah, The Law of Moses will come from Numbers 18.1-7. AND THE TITLE OF OUR MESSAGE IS, THE RESPONSIBILITIES OF THE PRIESTS OF ISRAEL AND THE LEVITES. And with that said, let’s read Numbers 18.1-7. NUMBERS 18.1 The time is immediately after a bunch of rebels, two hundred and fifty of them from the Congregation of the Children of Israel conspired together to take the leadership from Moses, and the Priesthood from Aaron and his sons. But The LORD intervened, putting an end to the rebellion by killing the two hundred and fifty rebels who instigated the rebellion, and another fourteen thousand seven hundred from the Congregation who joined in against Moses and Aaron, GOD’S Anointed. Here The LORD is speaking to Aaron the High Priest of Israel. Whether GOD spoke to Aaron Face to face in the Tabernacle, The Bible does not say. Whether GOD spoke to Aaron in his mind where Aaron heard GOD’S Voice inside his head, The Bible does not say. But The LORD said to Aaron, You and your sons, and your father’s house, that is the entire tribe of Levi, shall bear the iniquity of the Sanctuary. And you and your sons with you shall bear the iniquity of the Priesthood. Meaning that Aaron and his sons and the tribe of Levi, from which tribe Aaron is from, shall be responsible for any sin or evil related to the Sanctuary which is the Tabernacle. Their responsibilities, that is the responsibilities of the Priests was caring for everything in the Tabernacle. The ark of the Covenant, the Menorah, the Table of Showbread, the Altar in the Courtyard, the daily sacrifice for atonement for the Children of Israel and all the sacrifices. The Priests were responsible for all the Holy Objects pertaining to the Tabernacle. And keeping everything pure and clean. After all, the Sanctuary was the Dwelling Place of The LORD GOD ALMIGHTY, YESHUA THE MESSIAH to dwell among His People, the Children of Israel. Exodus 25.8. Sanctuary in Hebrew is MEEK’DOSH, here meaning the Sanctuary and the entire Tabernacle. The Priesthood of Israel is an inheritance, and a gift from GOD. The Priesthood, that is the Priests of Israel are a class of Jewish men who only come from the tribe of Levi. And they must be descendants of Aaron. That is a statute forever. The Priests of Israel, or Kohanim in Hebrew, were responsible for everything in the Tabernacle. They served and ministered to GOD, The Holy One of Israel. They were responsible for carrying out the daily sacrifices. One in the morning, and one in the evening. And the Priests will be responsible for the animal sacrifice at the Temple during the 1,000 year Kingdom of GOD on earth in Israel when The LORD GOD MESSIAH YESHUA returns. The Priests pronounced GOD’S blessing on the Children of Israel. They sounded the shofars and the trumpets on certain occasions. They also instructed Israel on all matters of Law from Torah, The Law of Moses. The Priesthood will continue in the Millennium, the 1,000 year Kingdom of GOD on earth in Israel when The MESSIAH YESHUA returns. NUMBERS 18.2 The LORD said to Aaron, the Levites, those who are not Priests, are to assist you and your sons in all that you ask them to do. But Aaron and his sons were the only ones allowed to minister before the Tabernacle of witness. The responsibilities of the Tabernacle belonged only to Aaron and his sons. GOD often called the Tabernacle, the Tabernacle of witness because The LORD gave His Laws and His Word to Moses Face to face in the Tabernacle. NUMBERS 18.3-4 The Levites who were not Priests, which made up most of the tribe of Levi, assisted Aaron and his sons outside the Tabernacle. They kept watch over the Tabernacle. And the Levites were responsible for moving everything in the Tabernacle, plus the Tabernacle itself from one location in the wilderness to the next. The Priests, however were commanded by GOD to first cover all the Holy Things in the Tabernacle before the Levites moved anything. The Levites, along with all the Children of Israel were not allowed to see or handle the Holy Things of the Tabernacle. The Levites were not allowed to even come near the Holy Things until they were covered that neither they nor the Priests would die. The Priests, and the Priests only were responsible for everything in the Tabernacle. Of course Moses often went into the Holy of Holies to meet with God where the LORD gave him His Word and His Laws called the Law of Moses. And also called GOD’S Covenant. The Tabernacle remained fully functional in Shiloh as GOD’S Dwelling Place for some three hundred and forty six years until the first Temple that was built by Solomon was completed and dedicated to The LORD in approximately 964 B.C.E. Shiloh was, or still is north of Jerusalem in the land assigned to Ephraim near the Jordan River. LISTEN TO THIS PLEASE BECAUSE THESE WORDS OF THE LORD GOD ARE CRUCIAL FOR THE NON-JEWISH PERSON WHO BELIEVES IN JESUS CHRIST BUT REJECTS GOD’S LAWS THAT ARE WRITTEN IN THE LAW OF MOSES, AND REFUSES TO OBEY THEM. THAT IS TO SAY, THE STRANGER THAT COMES NEAR THE HIGH PRIEST SHALL BE PUT TO DEATH. TO COME NEAR AND STAND WITH YOUR HIGH PRIEST JESUS CHRIST TODAY AND THROUGHOUT ETERNITY, YOU MUST HAVE EARS TO HEAR. YOU MUST HAVE EARS TO LISTEN TO GOD. AND YOU MUST OBEY HIM. WHY? BECAUSE THE TEACHINGS OF GOD IN THE BIBLE AND THE TEACHINGS OF THE CHURCH FROM THE BIBLE ARE AS DIFFERENT AS LIFE AND DEATH. GOD TEACHES THE TRUTH. THE CHURCH DOES NOT TEACH THE TRUTH. THE CHURCH TEACHES THAT CHRIST DID AWAY WITH THE LAW OF MOSES AT THE CROSS. THAT IS A LIE. THE CHURCH ALSO TEACHES THAT CHRISTIANS DO NOT NEED TO OBEY THE LAW OF MOSES. THAT ALSO IS A LIE. THE CHURCH WILL NEVER TELL YOU THIS. BUT GOD WILL. THE STRANGER MUST KEEP GOD’S SATURDAY SABBATH. THE STRANGER, THE NON-JEWISH PERSON MUST ALSO KEEP GOD’S COVENANT. GOD’S COVENANT IS HIS WORD SPOKEN IN THE BIBLE, AND ALL HIS LAWS THAT ARE WRITTEN IN THE LAW OF MOSES. GOD SAYS YOU MUST OBEY THEM. THEN, AND ONLY THEN, GOD SAYS, WILL YOUR SACRIFICE, THE SACRIFICE OF JESUS CHRIST ON THE CROSS FOR THE FORGIVENESS OF YOUR SINS BE ACCEPTED FOR YOUR ATONEMENT. PAUL SAID, A CHILD OF THE DEVIL IS THE ENEMY OF ALL RIGHTEOUSNESS AND PERVERTS THE RIGHT WAYS OF THE LORD. RIGHTEOUSNESS IS DOING THAT WHICH IS LAWFUL AND RIGHT. OBEYING GOD’S WORD. OBEYING ALL HIS LAWS THAT ARE WRITTEN IN THE LAW OF MOSES. THAT IS RIGHTEOUSNESS. BUT THE CHURCH TEACHES THAT CHRIST CAME TO END THE LAW OF MOSES. THAT IS A LIE. SEE ISAIAH 56.6-7 THAT THE CHURCH SEES NO REASON TO OBEY. WHEN CHRIST, THAT IS MESSIAH CAME, HE COMPLETED THE LAW AND THE PROPHETS. YOU MUST MAKE AN ERNEST EFFORT TO SEARCH THE MEANING OF THESE WORDS IN HEBREWS 8.6 IN GREEK TO GET ITS CORRECT MEANING THAT THE NEW TESTAMENT IS MADE INTO LAW. THAT IS THE NEW TESTAMENT IS FULLY PART OF THE LAW OF MOSES. MESSIAH ALSO COMPLETED THE PROPHETS BECAUSE MANY OF THE PROPHETS PROPHESIED OF HIM BUT HE CAME LATER AS WRITTEN IN THE NEW TESTAMENT. THUS MESSIAH COMPLETED BOTH THE LAW OF MOSES AND THE PROPHETS. HE DID NOT COME TO END THEM. THAT IS BLASPHEMY. JESUS SAID, “SALVATION IS OF THE JEWS.” HE DID NOT SAY, SALVATION IS OF THE CHRISTIANS BECAUSE CHRISTIAN DOCTRINE REJECTS THE WORD OF GOD AND REJECTS HIS LAWS THAT ARE WRITTEN IN THE LAW OF MOSES. AND REJECTS THE TEACHINGS OF THE PROPHETS. SALVATION COMES BY DOING EVERY WORD AND EVERY LAW THAT GOD COMMANDED THE JEWISH PEOPLE TO DO. THAT IS HAVING FAITH IN THE JEWISH MESSIAH JESUS FOR ATONEMENT, THE FORGIVENESS OF YOUR SINS, AND LIVING BY EVERY WORD GOD SPEAKS IN THE BIBLE THAT INCLUDES HIS LAW OF MOSES. THOSE REQUIREMENTS OF GOD ALMIGHTY, JESUS CHRIST ADD UP TO SALVATION AND STANDING WITH YOUR HIGH PRIEST YESHUA THE MESSIAH FOREVER WHO IS CALLED JESUS CHRIST IN CHRISTIANITY. THE TRINITY OF THREE DIFFERENT PERSONS OR THREE DIFFERENT GODS IS FICTION CREATED BY MAN. Let’s finish our study in Numbers 18.1-7. NUMBERS 18.5-7 GOD told Aaron to do as GOD commanded him and his sons to do in the Sanctuary. Do with the Altar as GOD charged him. Then there will not be any more wrath upon the Children of Israel. And The LORD gave Aaron and his sons the entire tribe of Levi to help them in the service of the Tabernacle. Mostly outside the Tabernacle of the Congregation. Therefore GOD said to Aaron, you and your sons shall do the duties required of the Priests for everything of the Altar, and inside the Veil which is the Holy Of Holies that contained the Ark of the Covenant. I would assume keeping it clean and pure for The LORD GOD Who is Yeshua The Messiah, Jesus Christ Who appeared to Moses there to give Moses His Word and His Laws that are written in The Law of Moses. Also called GOD’S Covenant. PAUL TEACHES WISDOM TEACHING THE STRANGER HOW TO CHOOSE LIFE AND NOT DEATH. Posted on September 4, 2016 September 5, 2016 Categories Shabbat MessageLeave a comment on THE RESPONSIBILITIES OF THE PRIESTS OF ISRAEL AND THE LEVITES.